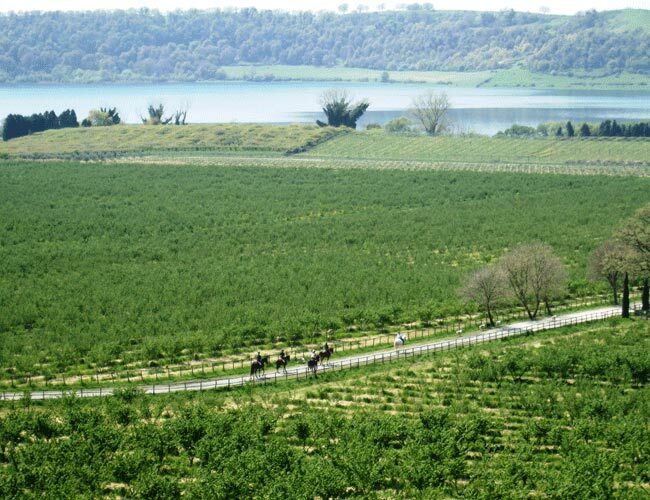 Great riding and a wealth of history awaits! 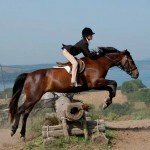 This is suitable for riders, non riders and children. 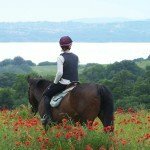 Other number of nights available on request, clients can stay for 4, 5, 6 nights too and longer. 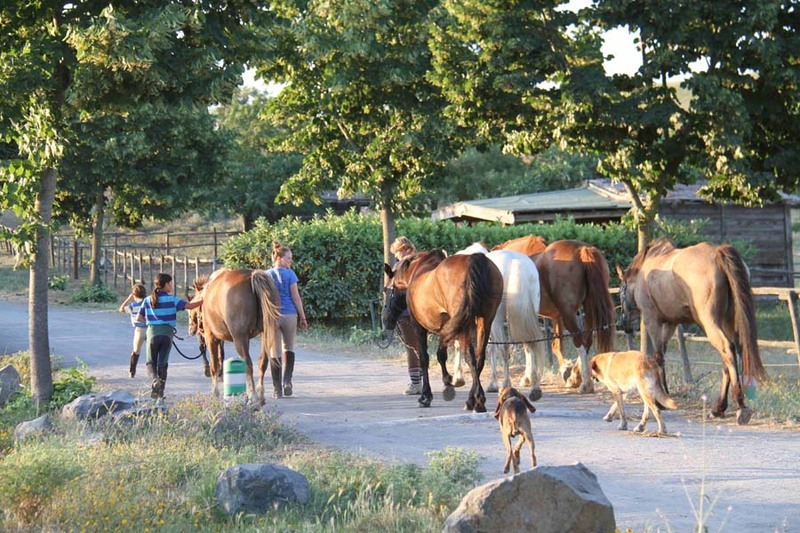 Non riders very welcome at I Due Laghi – £87/€96/$110 per night. Children at reduced cost sharing with parents – Prices on request. 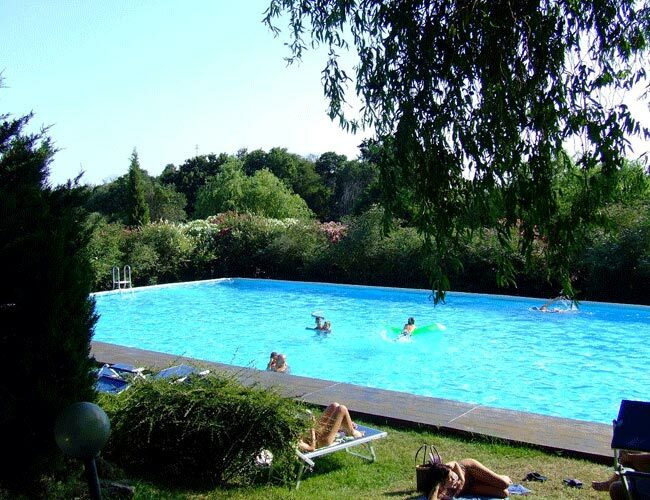 I Due Laghi is a flexible holiday and you can book by the night. 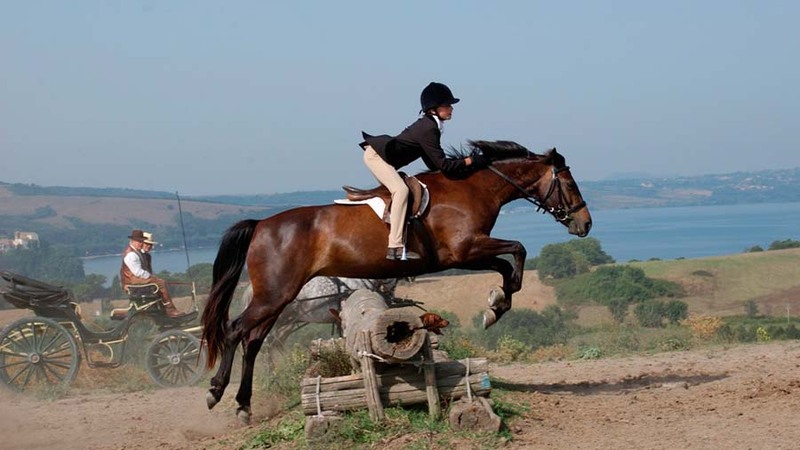 Included – All the riding (18 hours over 7 nights & 8 hours over 3 nights) & half board accommodation. 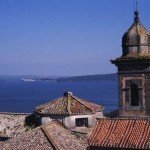 Excluded – Flights, drinks, transfers & tips. 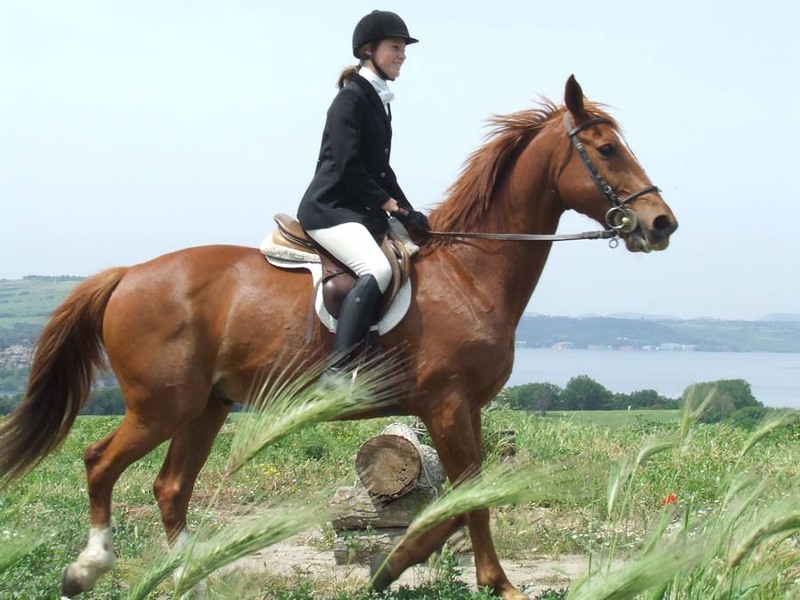 I Due Laghi offers a wonderful horse riding holiday in Italy. 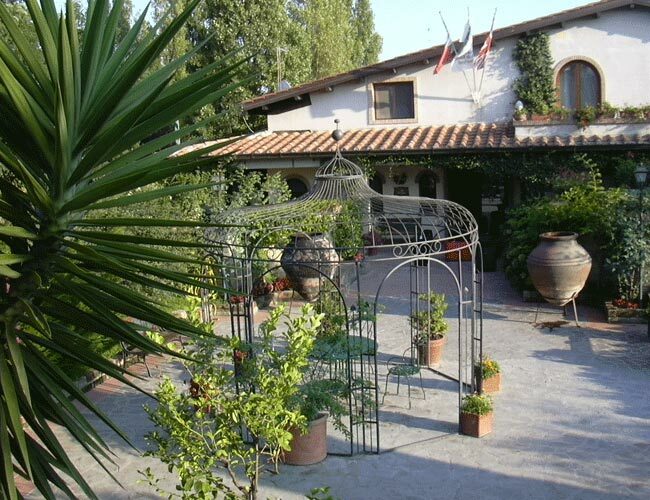 It’s a lovely country house hotel, situated about an hour north of Rome between the lakes of Bracciano and Martignano. 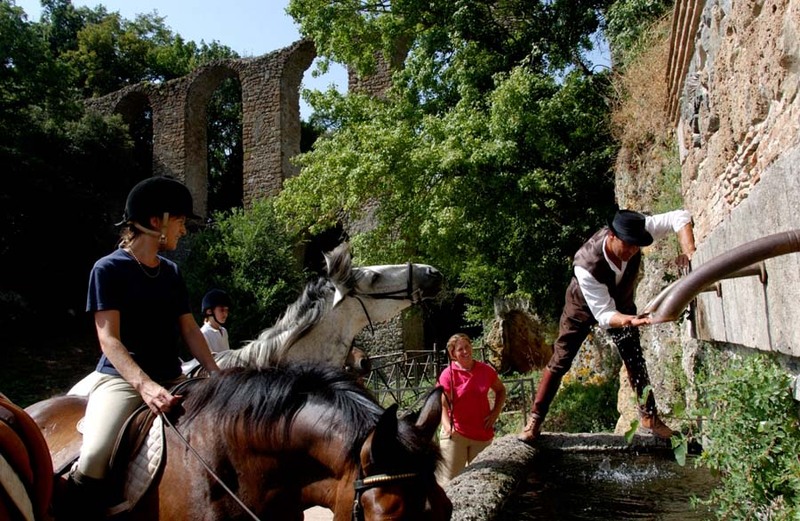 The estate and surrounding countryside offers some great riding and a wealth of history – Etruscan tombs, ancient Roman paved roads, fortified medieval villages and renaissance manor houses. 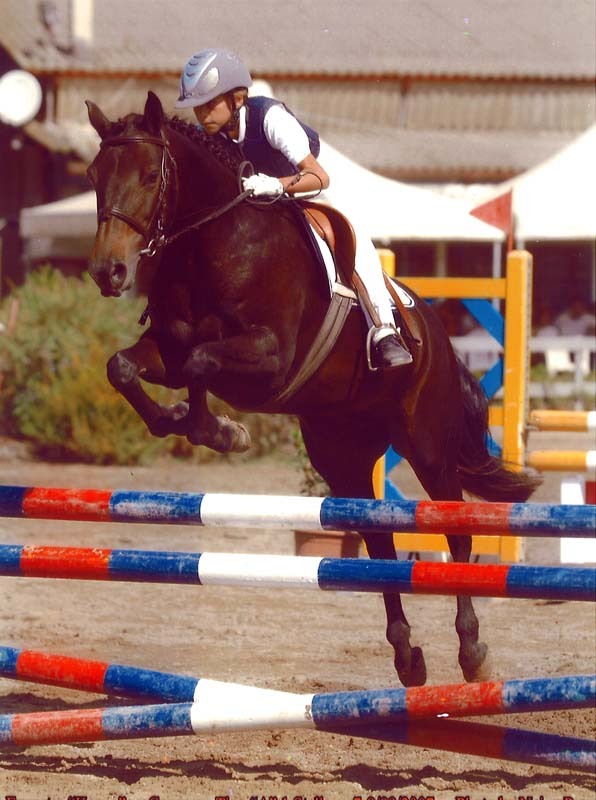 The riding establishment, situated within the hotel grounds, was the first in Italy to be given the ‘British Horse Society’ approval. 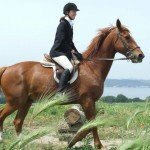 The extensive stables house a good selection of horses ranging in size from 14hh ponies to 18hh Irish hunters. 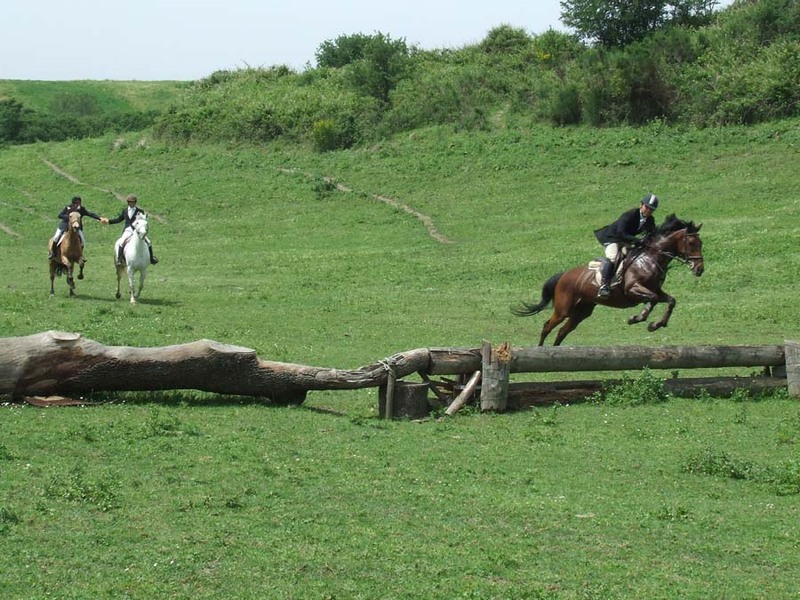 The facilities include two large all-weather arena and fabulous hacking with a few small jumps to pop over along with great tuition for novice riders. 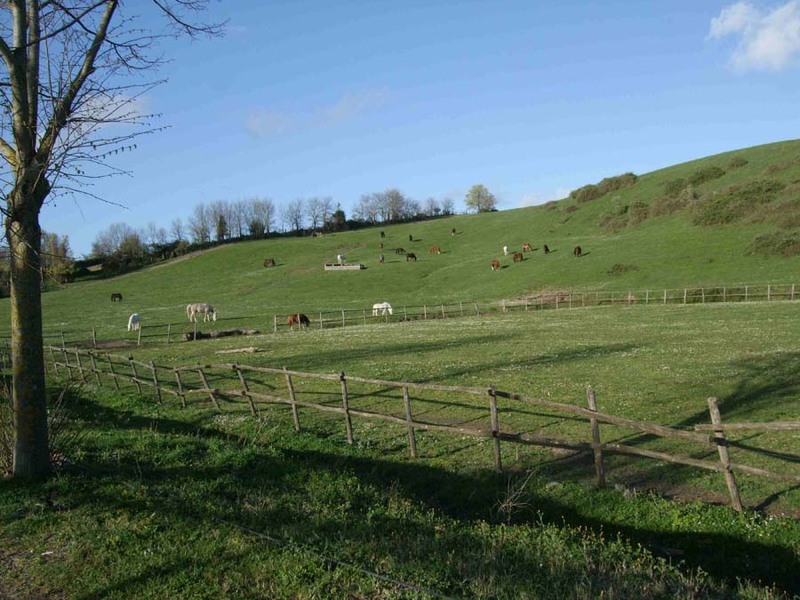 The hotel estate itself extends to some 360 acres, so there is plenty of time away from training to ride out and enjoy the beautiful countryside. 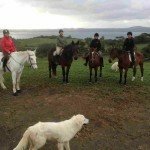 I Due Laghi : Horses – Irish Sport Horses, Irish Hunters & Childrens Ponies. 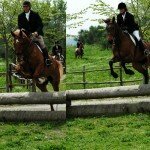 I Due Laghi : Level of Riding & Pace – Beginner to Good Novice. 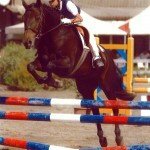 There are a great selection of horses to suit all levels of riding, and pace is determined by the client. 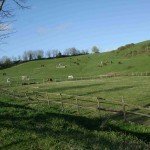 I Due Laghi : Weight Restriction – 16 stone / 102 kg / 224 lbs. 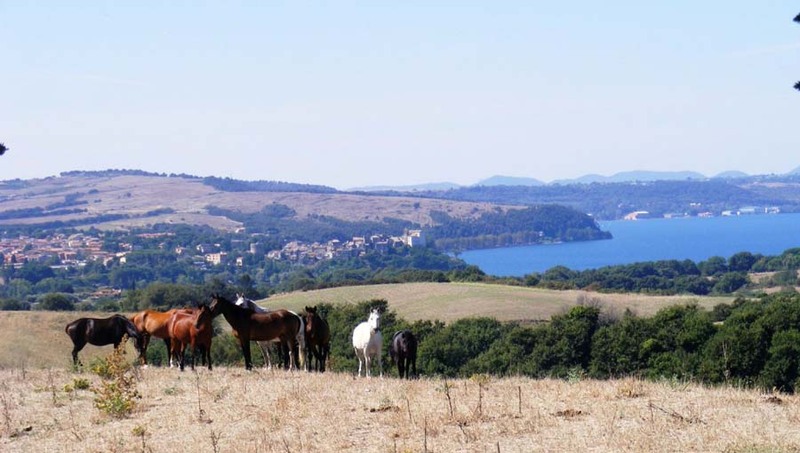 I Due Laghi : Group Size – Maximum 8. 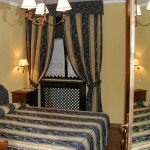 I Due Laghi is a lovely 4 star country house hotel. 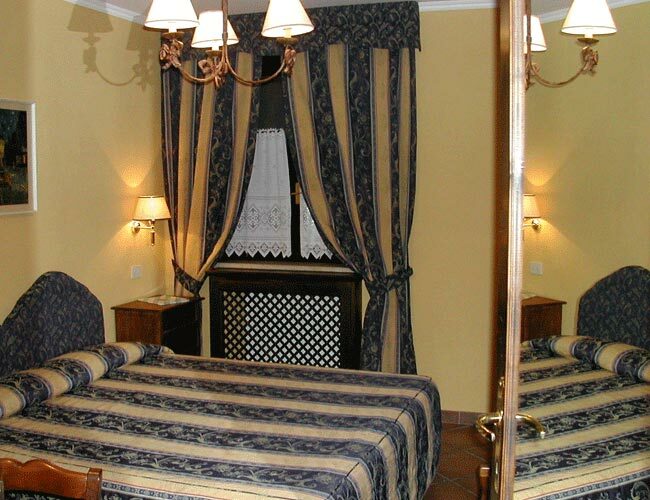 The rooms are comfortable and elegantly furnished with typical Italian furniture and decoration. 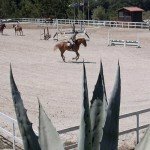 In addition to the riding school, there is a gorgeous pool and pool area to chill at after lunch, before your late afternoon ride. 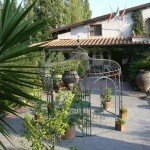 The food here is also delicious, authentically Italian, beautifully presented using the freshest, local ingredients. Guests have the option to eat in the restaurant or on the terrace in the summer. 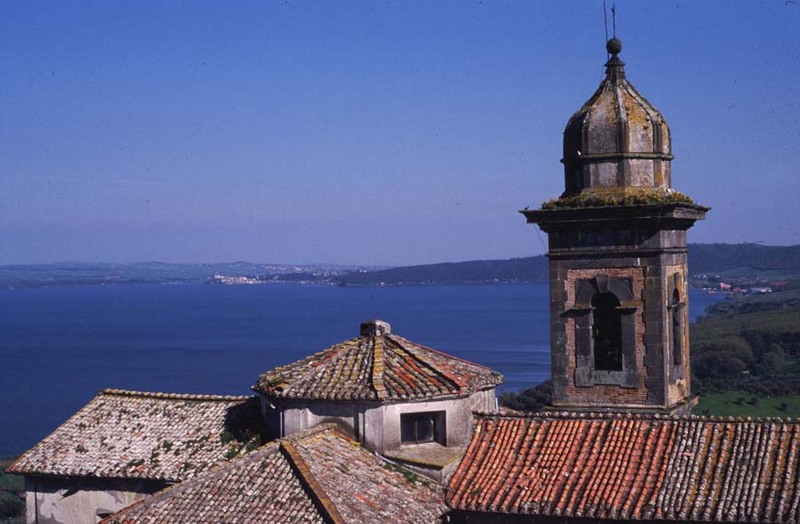 In the summer, instead of being served in the restaurant, meals are served in the sunshine on the terrace. 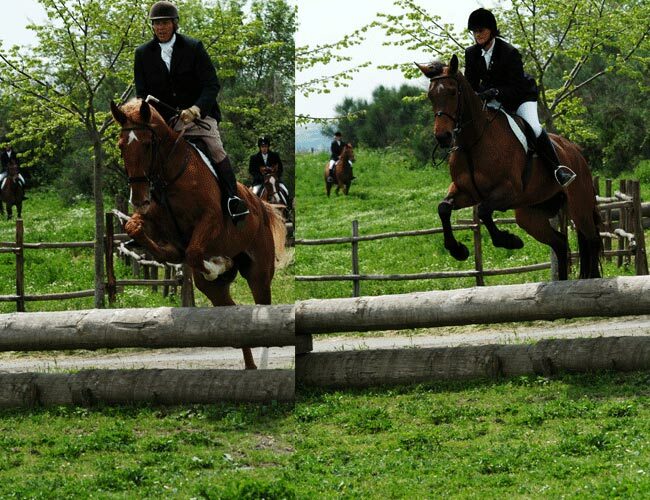 Horse Riding Holidays at I Due Laghi are part of the Zara’s Planet collection of Horse Riding Holidays Italy. 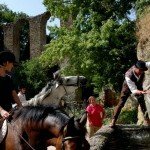 Special Italian Cookery Course – a great hit with non riding partners! 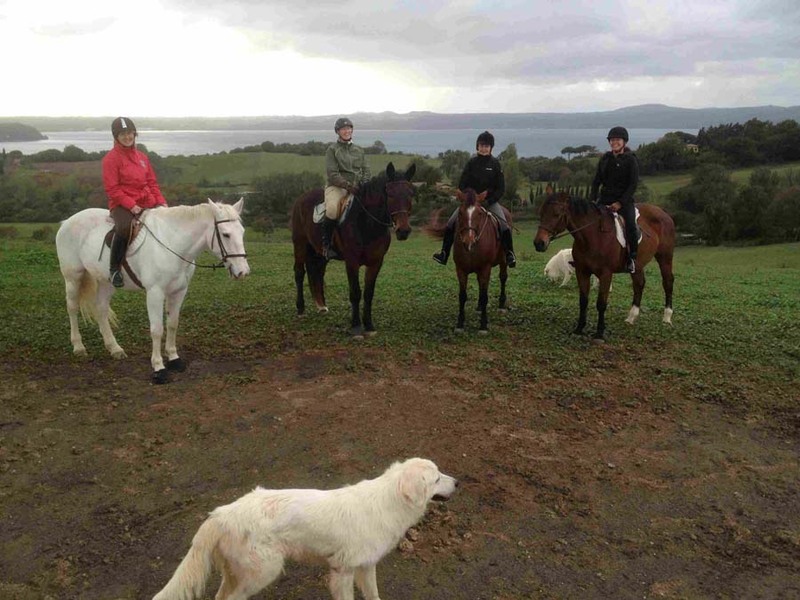 Here’s an idea of a 7 night stay, which includes riding out and lessons. We can also make a personal itinerary for clients. 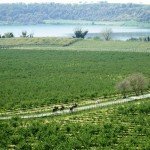 Sunday – Transfer to the estate from airport. Welcome drinks & dinner. 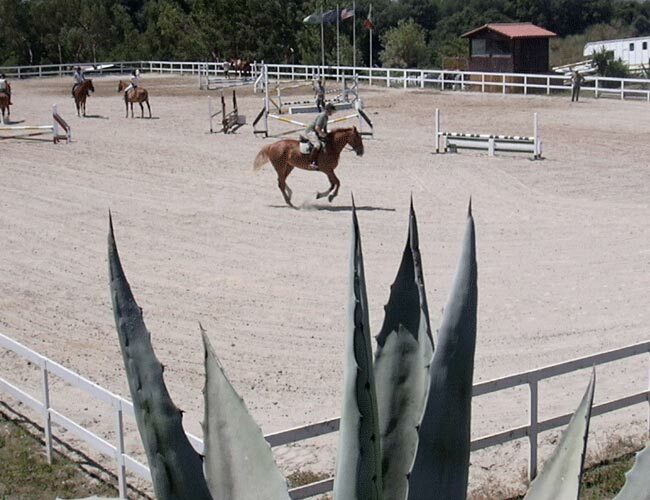 Monday – Riders have an assessment lesson in the morning, and afternoon lessons. 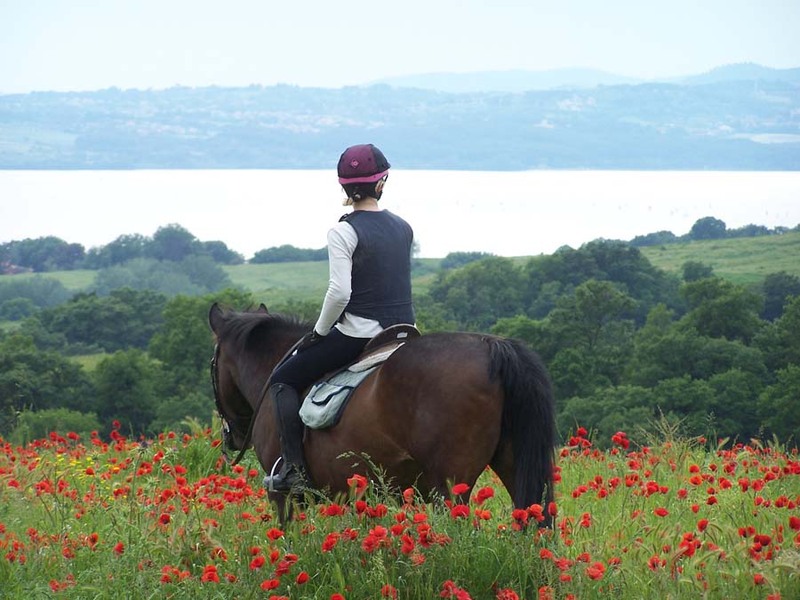 Tuesday – A relaxing hack around the estate. 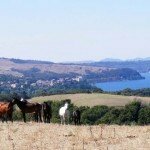 A visit the goat farm, where the dairy converts the milk into many types of cheese and a chance to sample the cheese, have a glass of wine, and admire the view of Lake Bracciano. 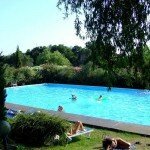 Wednesday – A free day – time for a visit to Rome all day or a cooking class on request or just a chill out day at the pool. 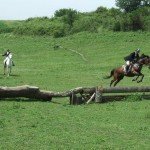 Thursday to Saturday – A relaxing hack around the estate & lessons. 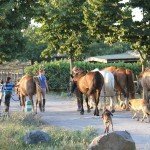 Sunday – Breakfast and departure.